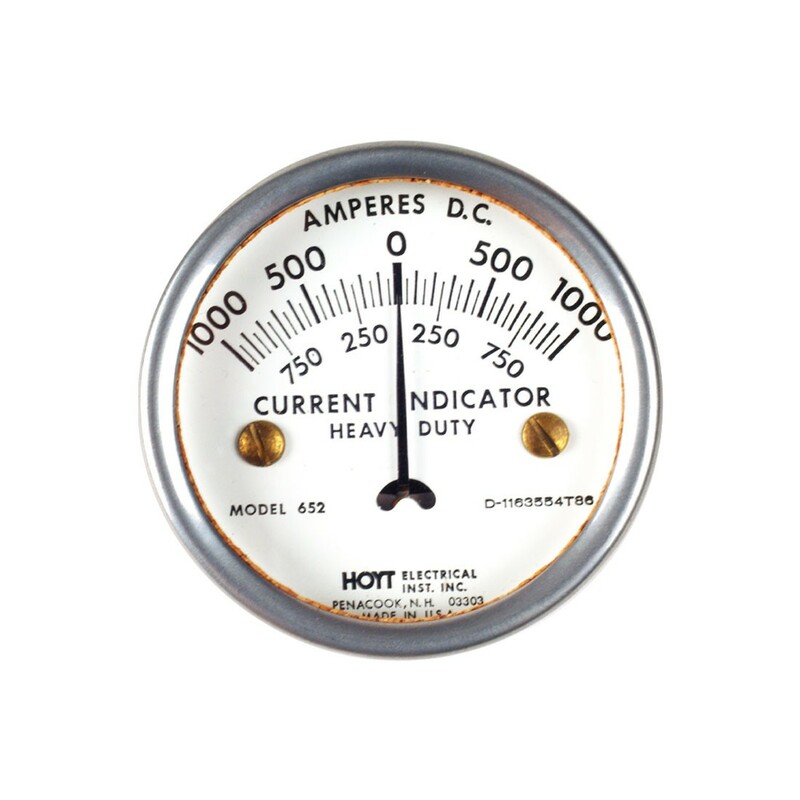 Low-cost Indicator for measuring approximate current drawn by starter of any engine. Also will indicate bad brushes in starter and condition of armature. It is very easy and safe to use, just place the meter direct over the wire. No direction connections are needed as it is using induction to take the measurement. Designed for diesel trucks and welders. Dial is calibrated from 0 to 1000 on both sides of zero therefore permitting reading regardless of the cable polarity.